By encouraging the flow of capital to the developing world, Reducing Emissions from Deforestation and Forest Degradation (REDD+) is an important global climate change initiative. A mechanism primarily aimed at creating financial incentives to reduce deforestation and degradation, it forges an important link between those with the technological and financial capacity, and communities invested in deforestation. Through incoming investment flows, incentives are created for communities to develop other livelihoods that are less carbon-intensive. Executed successfully, REDD+ programs can be an effective way in which to reduce carbon emissions at a global partnership level. For companies pursuing CSR policies, REDD+ schemes are a worthy investment option. They also provide a source of carbon emission credits for those pursuing carbon neutrality. However, there are financial gains to be made also. The primary reason the private sector engages in REDD+ is the potential high returns to be made from green investment and carbon trading. There are several ways at differing levels that companies can be involved. Does business driven REDD+ pose a threat? No environmental mechanism in the developing world is without its issues. Combining poverty-stricken subsistence communities with conservation efforts has always been contentious. Adding business to the mix can only complicate matters. A primary issue is that of the land and forest rights of local communities formerly involved in deforestation. From both a social justice and project accreditation angle, there must be a clarified standard pertaining to access allowances. Excluding communities from their habitats has seldom achieved great environmental success. 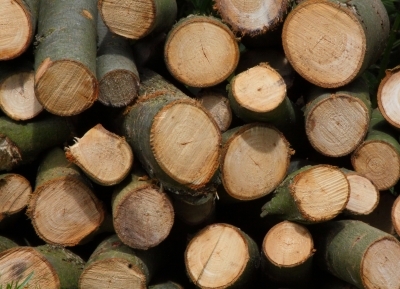 There is further controversy surrounding the growing role of brokers in REDD+ carbon trading. There is a moral responsibility to create checks and balances to ensure a sufficient amount of profit is channeled to affected communities. There is a danger that an unreasonable amount of profit could be absorbed by the middle man broker. Unfortunately, private sector investment in REDD+ accounts for only a fraction of the funds required by the scheme. The main limiting factor in investment is political risk. In order to encourage further investment from the private sector, political volatility must be isolated insofar as possible from REDD+ projects. Another disadvantage to REDD+ investments is the time it takes to liquidate forestry stocks into cash flow. 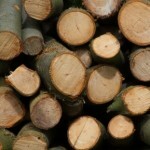 Investments in forestry can take up to 25 years to mature and convert into cash. This does not correspond well with the average investment horizon of 15 years. However, liquidity could be increased significantly by the use of publicly supported collective investment schemes. Schemes such as these would allow initial capital injectors to liquidate their investments prematurely. By boosting financial flexibility, this would increase the ease with which investors commit to REDD+ schemes. The struggle today is to increase the attractiveness of REDD+ as an investment option for the private sector. The room for growth is vast, especially as a source of carbon credits. There is a very real possibility for REDD+ to move into newly developing compliance markets, such as Australia’s cap-and-trade scheme. Inclusion in compliance schemes as a carbon credit supplier would increase its appeal to the private sector. However, some care should be taken to prevent companies using REDD+ carbon credits as an excuse to avoid more costly reductions at home. The opportunities available with REDD+ primarily need to be marketed more widely to the private sector, especially to the likes of banks and investment firms. To continue developing as a successful carbon credit scheme, REDD+ must keep up a stringent accreditation system. Equally important, it must maintain a strong social justice perspective that will not allow the manipulation of local communities.